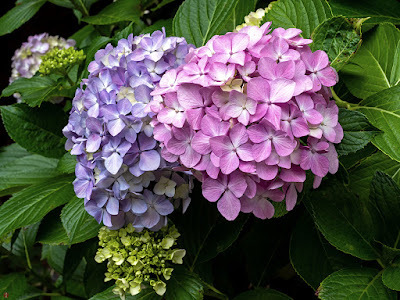 The summer rainy season has just set in. 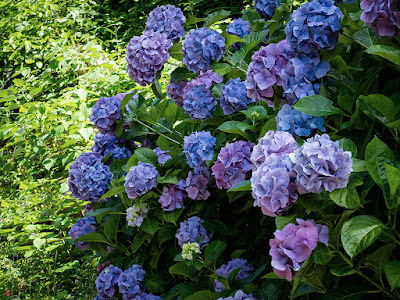 Along the uphill road beside the modest temple, the ajisai flowers of various colors and shapes are finely blooming against the overcast sky. The subtle coloring and ceaseless metamorphosis of these flowers are brought about by the abundant moisture and minerals absorbed from the rain and soil. 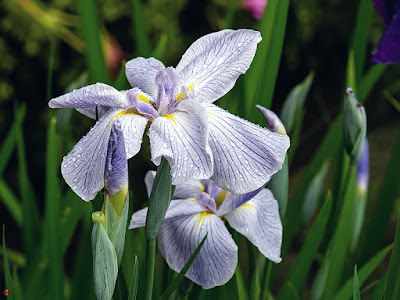 Under the threatening sky peculiar to this season, ajisai flowers closely wait for the rain to keep blooming exquisitely and their quiet beauty soaks into my mind deeply like a gentle merciful rain. 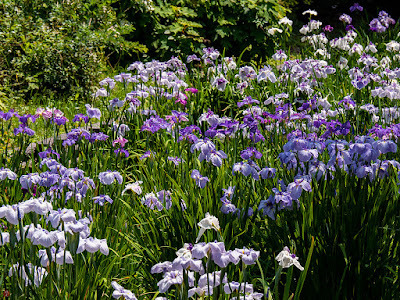 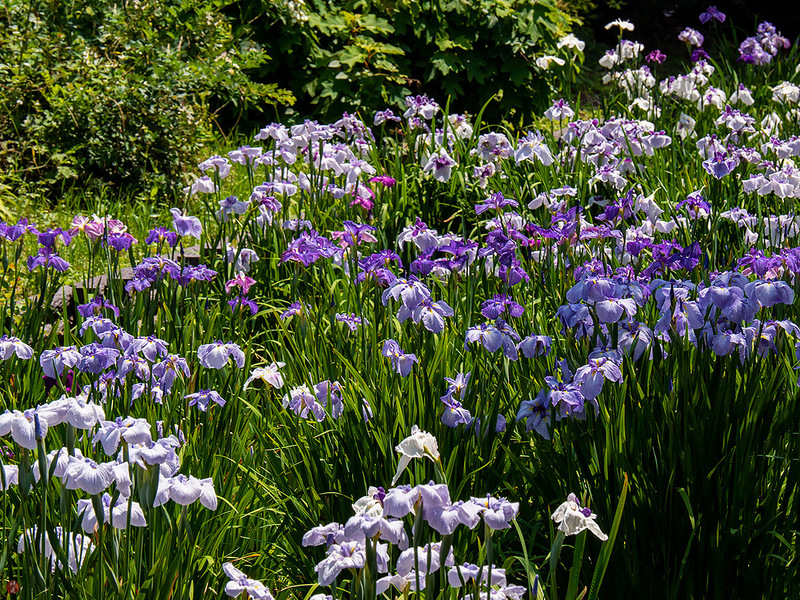 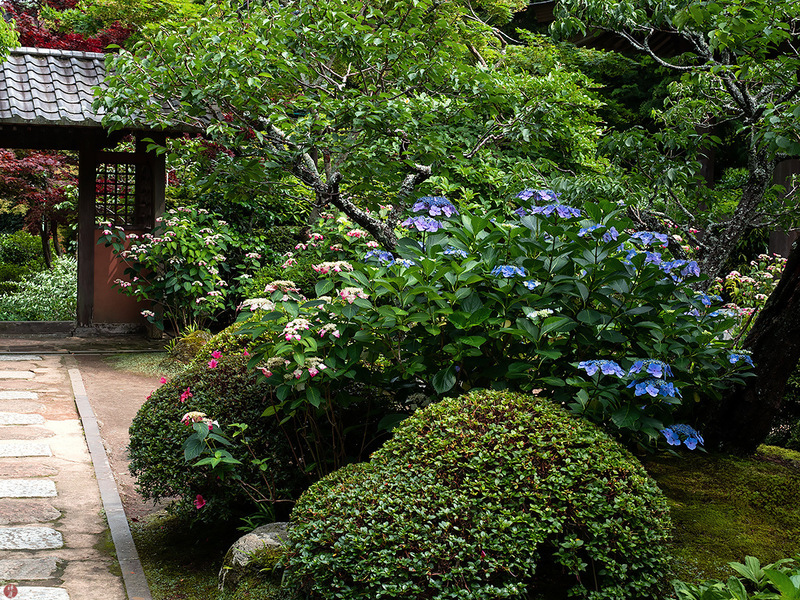 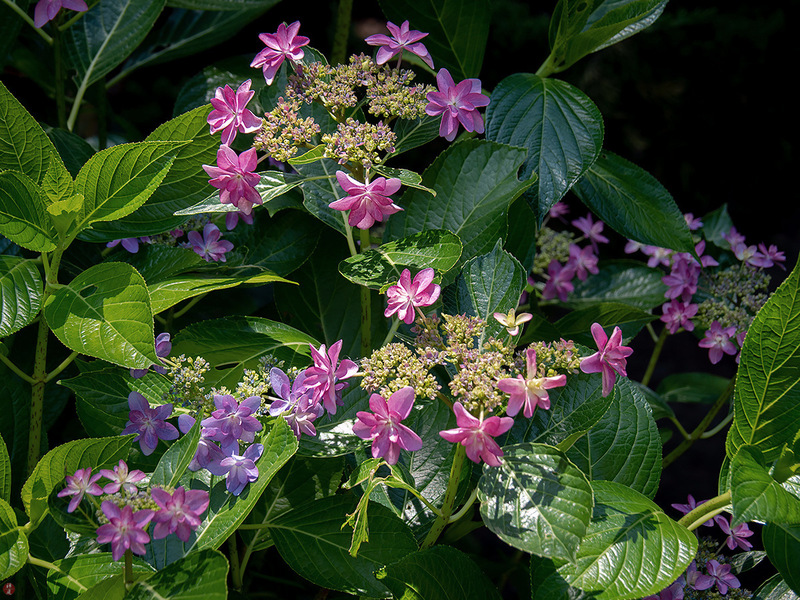 Ajisai flowers gradually change color due to the subtle chemistry of water and soil during their flowering periods. 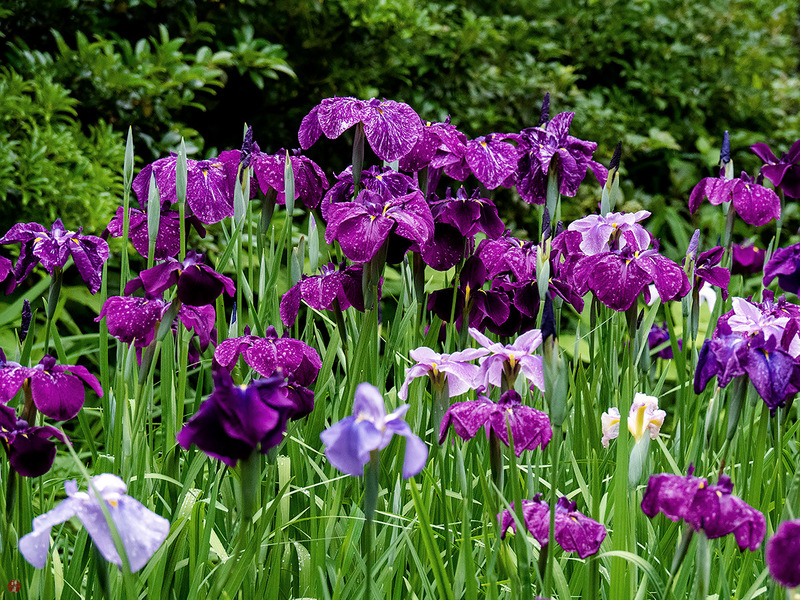 The milky white sepals of these flowers are dyed with the various shades of ruby red. 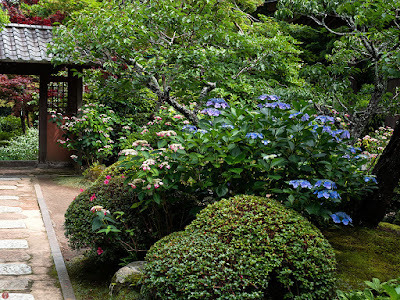 This coloring perfectly matches the fresh green of leaves and reminds me of a classical color combination of kimono cloth. 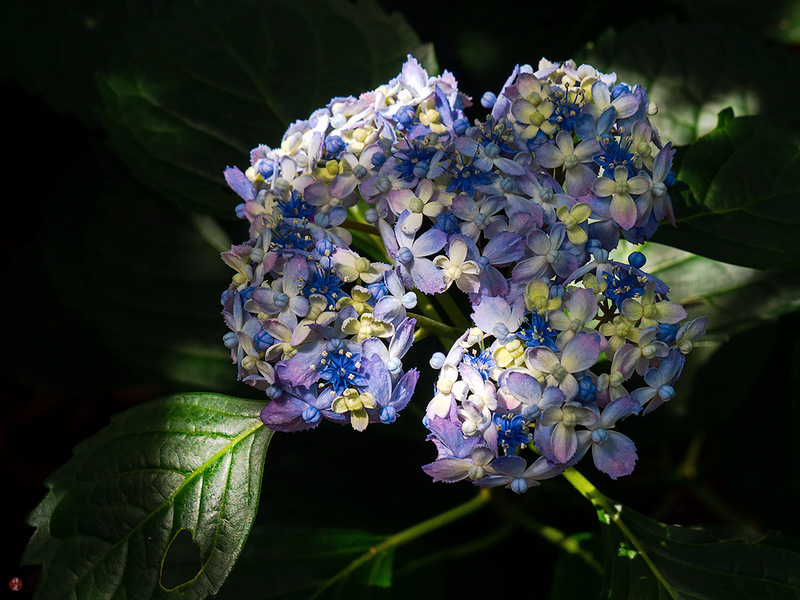 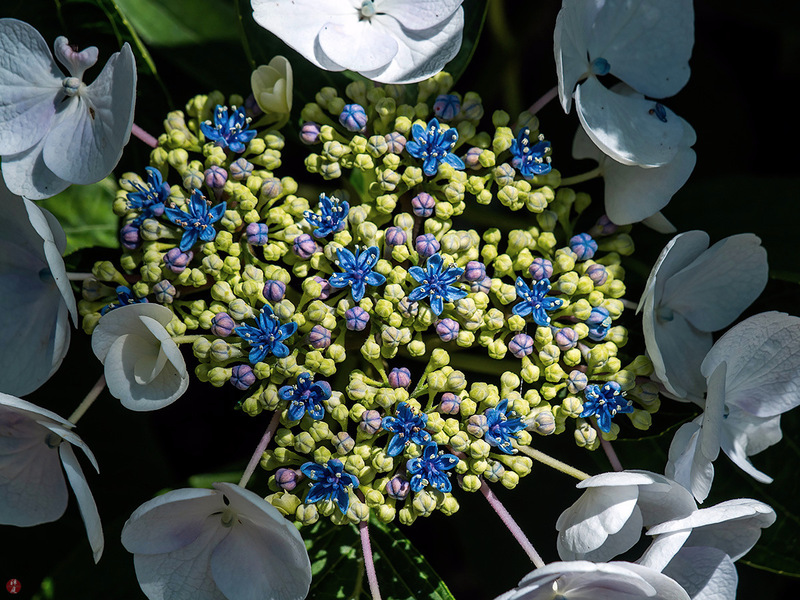 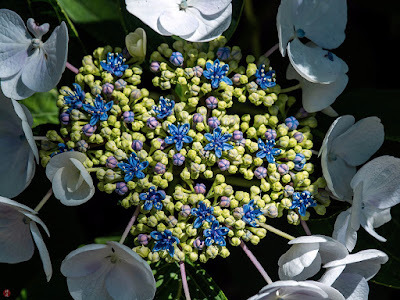 The small ultramarine-blue flowers are blooming in the interior of the flower head. 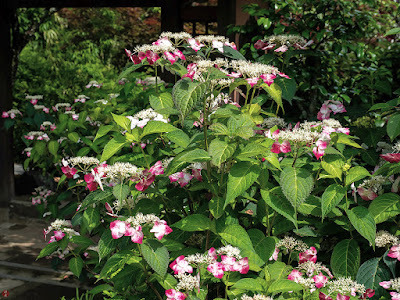 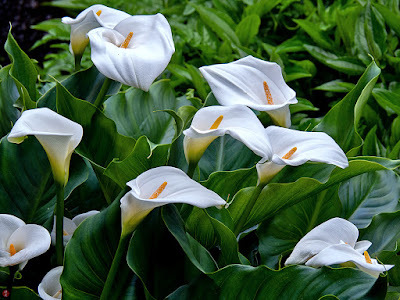 These flowers and the flower-buds are ornamented with the frame of snowy petal-like calyxes. 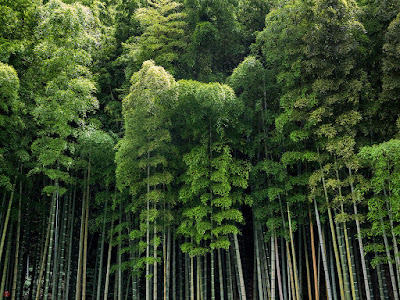 Thanks to the favorable rainfall and temperature of this season, the bamboo grove continues growing abundantly. 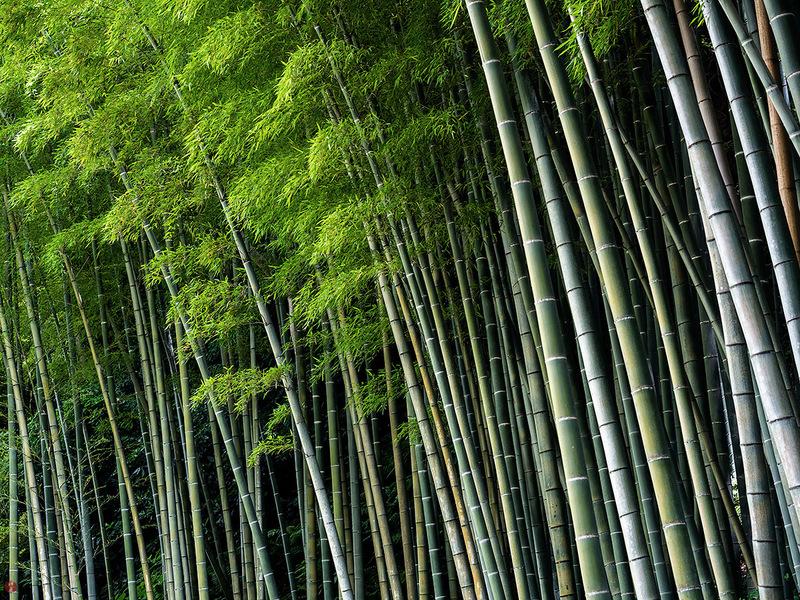 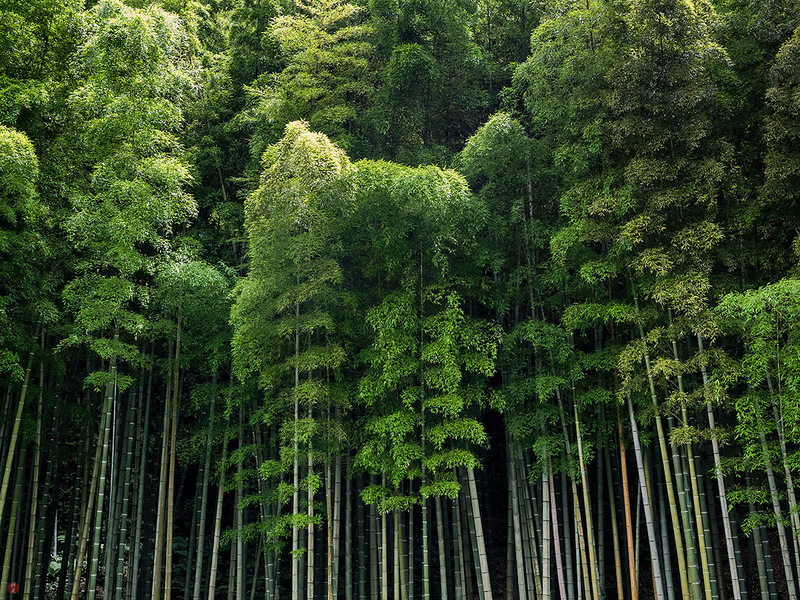 The dense blades and tall stems are trembling lightly in the mild breeze, which lets me know that this bamboo grove is full of the true joy of living. 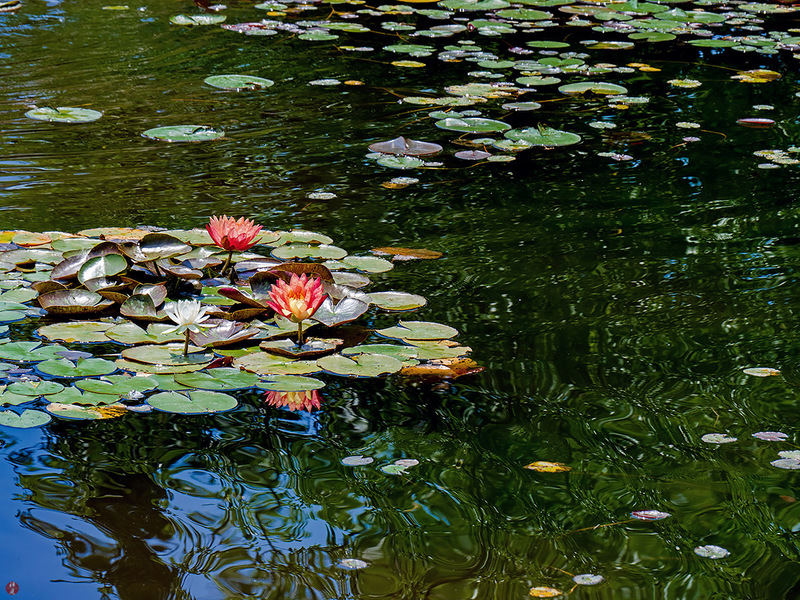 The thick foliage and the bright sunlight of early summer are calmly reflected on the slight ripples of this water-lily pond. 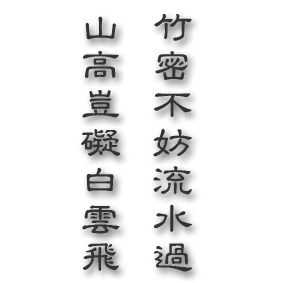 The graceful flowers and circular leaves are inlaid over the quiet water surface and are in harmony with the impressive atmosphere of flickering light and colors. 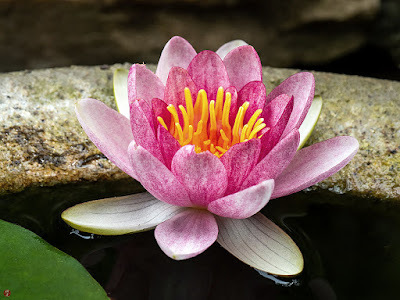 The gentle breezes are sweeping over the pond to transform the reflected picture of light and colors ceaselessly. 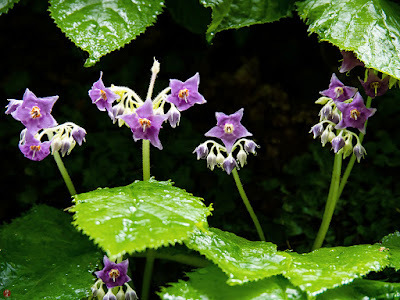 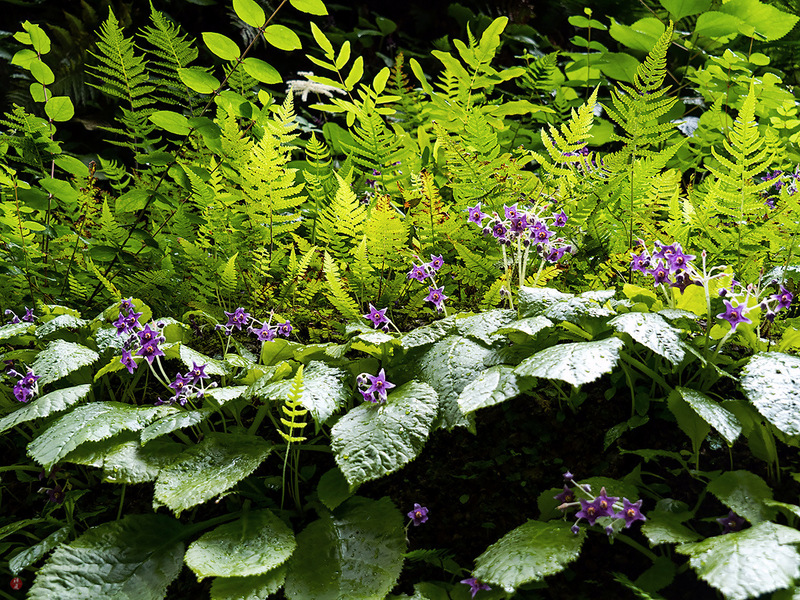 In Kita-kamakura, the tiny violet flower of Iwatabako is a notable symbol of the summer rainy season. 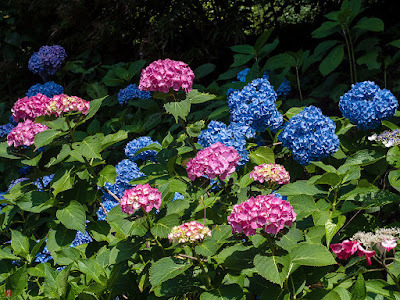 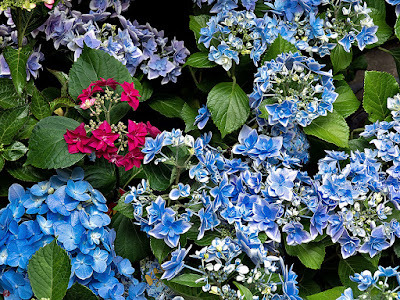 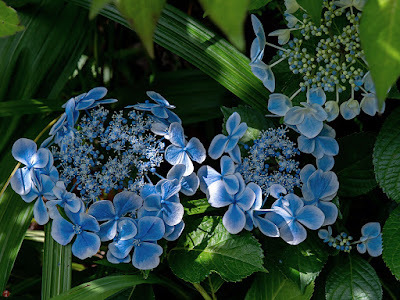 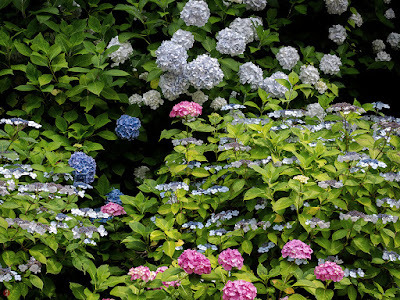 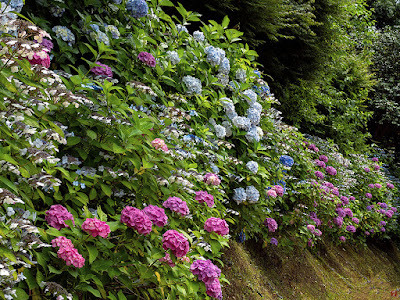 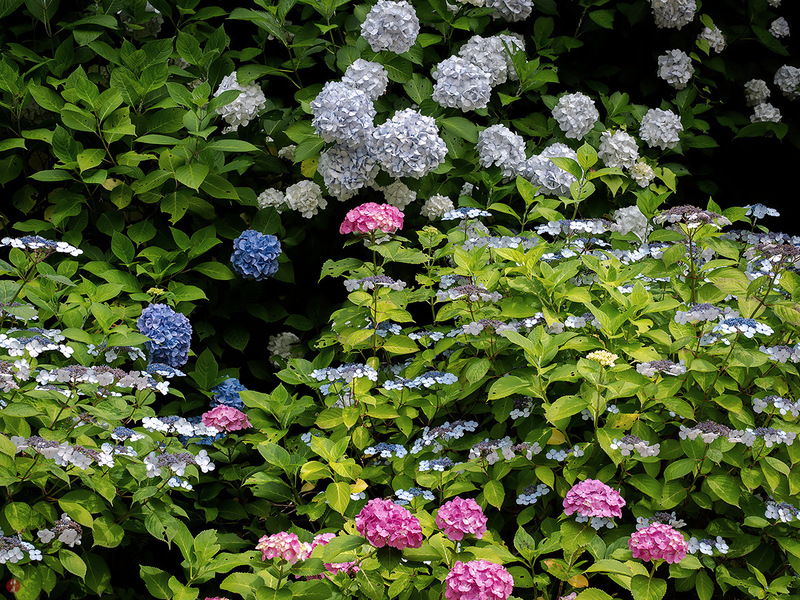 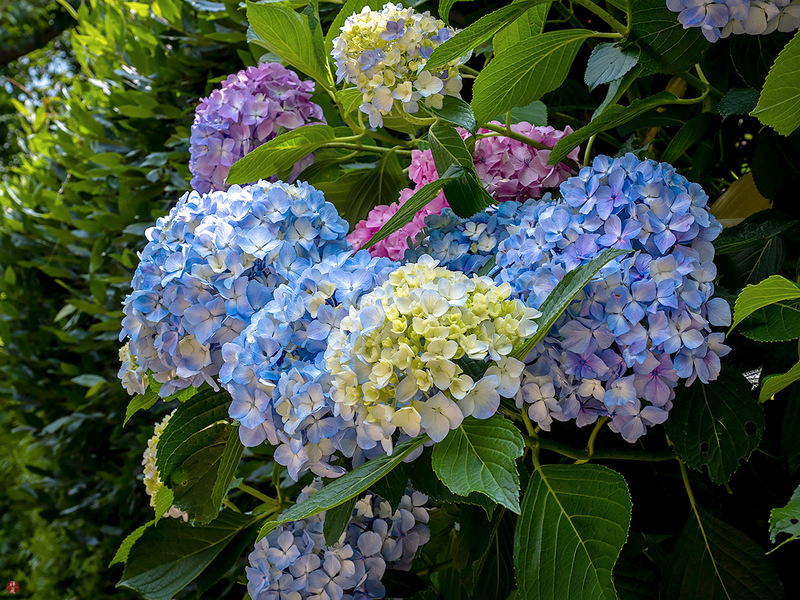 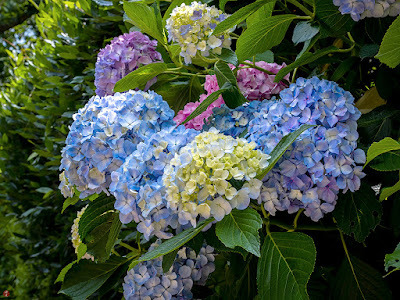 Together with colorful hydrangea flowers, Iwatabako flowers let us know that summer has come around and the rainy days of June will begin soon again.